The deportations under the EU/Turkey deal in relation to refugees began this morning with boats leaving the island of Lesbos and Chios for Turkey. Two boats carrying the first migrants to be deported from Greece to Turkey under an EU deal with Ankara have arrived in the Turkish port of Dikili. …Officials from the EU border agency Frontex said the boats, which departed from Lesbos, were carrying 131 deportees, mostly Pakistanis, Bangladeshis and Moroccans who were already being deported to Turkey before the deal’s creation. This means Monday’s deportations are not a true test of whether the agreement can stop the flow of mainly Syrians, Afghans and Iraqis to Greece. 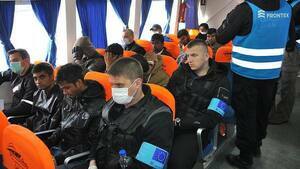 …Eva Moncure, a Frontex spokeswoman, said there were no children on the first two boats. Two Syrians were onboard, including a woman who had volunteered to return. The deportations on Lebsos were calmly carried out at dawn, several hours ahead of schedule… Disembarkation was delayed while officials erected a white tarpaulin on the boat to block the media’s view. …A Turkish catamaran was also transporting refugees from Chios, a Greek island near Lesbos, on Monday morning. 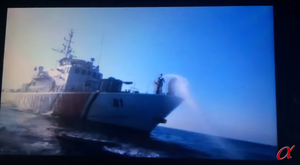 Local TV reported that 60 migrants and refugees were on board. Volunteers on the island alleged that they saw police beating deportees at the quay. 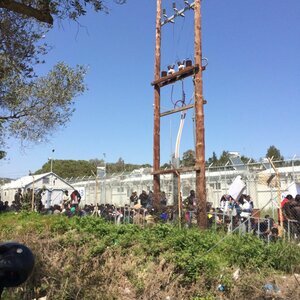 …Anas al-Bakhr, a Syrian engineer from Homs who is among those stuck on Chios, said police marked his arrival date as 20 March – when the deal came into force – even though he arrived the day before. 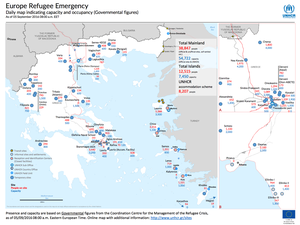 Posted in Misc and tagged Chios, Deportations, lesbos, refugees, turkey at 10:51 am on April 4, 2016 by Broadsheet. What about Iraqi and Syrian Kurds who land in Greece escaping Turkish persecution? The proxy World War III is coming home to roost for western Europe. Wait till the imminent Russian invasion of Western Europe (or so the Americans would have you believe), then we’ll be seeing some serious problems (or so the Americans would have you believe). “The proxy World War III” put down the hash pipe rasta. In fairness, those kebabs are rather pungent. Oh wait, that’s a Conor Lenihan line being masked. Please refrain from commenting while pleasuring yourself – we can tell. The far-right don’t even need to get elected, just the smell of them has Europe doing their bidding. That’s good business for Frontex. Check your facts maaaaan. 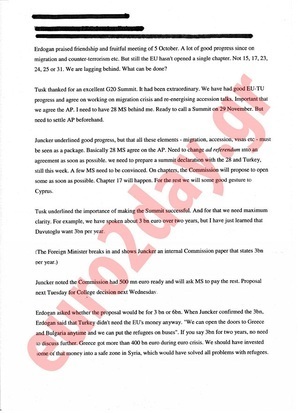 Frontex is a subsidiary of Siteserv. Frontex did my gutters.